The Moroccan government has drawn up plans for becoming part of the renewable energy wave thats going on across the African continent. The country has embarked on a leading solar energy plan and an integrated wind energy project, which will allow the kingdom to meet 42% of its energy needs by 2020, relying on clean and renewable energy sources. Water, sun and wind: Morocco has launched an ambitious programme to harness the elements to produce “green” electricity to reduce its dependence on energy imports. And eventually it even hopes to export the energy produced. Farabi says is the largest windmill park in Africa. King Mohammed VI himself launched the site in June, one of the first steps towards Morocco’s avowed aim of exploiting renewable energy sources. It has a capacity of 140 megawatts (MW). But to get that green energy requires a lot of money up front, especially when you are dealing with relatively new technology. 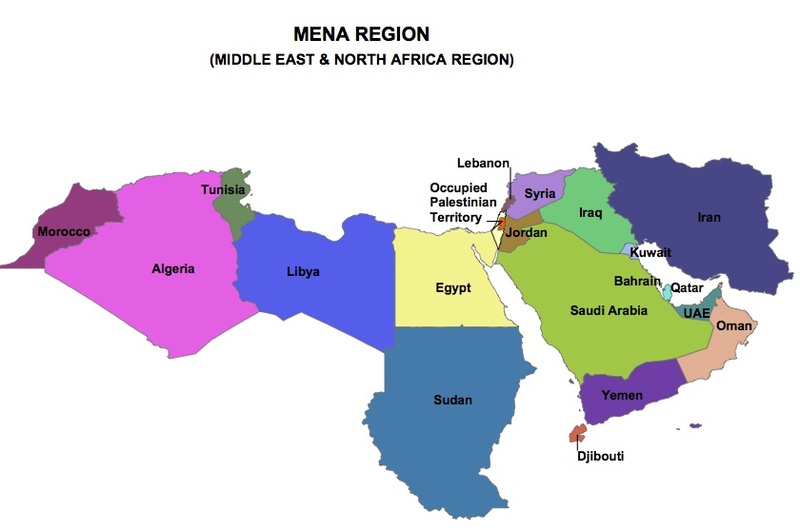 What has helped however, is the growing interest along the southern Mediterranean coastline among not just businesses but some European governments. This has sparked interest in the Mediterranean to develop one of the region’s most abundant resources: the sun. Ten years from now, by 2020, the plan is to generate 20 gigawatts (GW) of power in solar power across the southern Mediterranean countries, a quarter of which could be exported from Morocco into Europe. Morocco’s project then, as ambitious as it is, is only part of a much larger plan put together by the 46-nation Union for the Mediterranean, which comprises the 27 European Union members and 16 Mediterranean countries. For Mohammed Yahya Zniber, secretary general of Morocco’s energy ministry, this represents a real economic opportunity for the country. And Energy Minister Amina Benkhadra puts it this way: by diversifying its energy sources Morocco can ensure energy security. The growing demand for energy in Morocco, on average up 6.5 percent a year, makes that argument all the more convincing. At the moment, Morocco is importing more than 95 percent of its primary energy materials — oil, coal and gas — for the country’s energy needs. And it imports 18 percent of its electricity from Spain. And while the country’s leadership has not ruled out looking at nuclear power, for the moment it has set itself the ambitious goal of increasing the share of renewable energy in its total output to 42 percent by 2020. The plan is to share that out equally between hydroelectric, wind and solar energy: the wind park at Dhar Saadane then, is just one link in the chain and not enough in itself to meet the wind energy targets. Morocco wants to produce 2,000 MW in wind energy alone by 2020 and for the moment, its windmills are only producing 280 MW year — and that will require an investment of some 2.2 billion euros (three billion dollars). It will also have to build three dams to increase its hydroelectric production to 2,200 MW by 2020, said Zniber at the energy ministry. But the real work will have to come in solar energy, a resource that until now has been underexploited. Morocco is putting 6.6 billion euros into plans to produce 2,000 MW in solar energy by their stated deadline, said Mustapha Bakkoury, president of the Moroccan Agency for Solar Energy (MASEN). And given the amount of sunshine the kingdom enjoys, Morocco can expect to get a good return on its investment in this area, said Bakkoury: for the yield from its site would be 20 to 30 percent than equivalent installations in Spain. Five sites have been chosen for this part of the programme, the first of which will be developed in Ouarzazate. Deep in the heart of Morocco, the desert city is perhaps better known for some of the films that have been shot there: from David Lean’s “Lawrence of Arabia” to “Star Wars” and Ridley Scott’s “Gladiator”. The plan is to have the Ouarzazate producing 500 MW by 2015. Morocco will put the first part of the project out to tender before the end of the year. The problem with solar energy, said Bakkoury, was that it was a lot more expensive that conventional energy. This comes in the foot steps of Egypt laying out its plans for investment in Solar and Wind energy. Its good to see nations across Africa joining the clean energy race especially when in the long term this will be very beneficial due to the fact that geographically Africa is blessed with enough Solar and wind energy. For more on Solar energy in Africa, see this previous post on the topic. Qualcommn has announced that they will open an office in Lagos, Nigeria. The San Diego-based company said that the office will serve as a hub for the firm’s West Africa business operations, mobile operators and device manufacturers across the region. Qualcomm Incorporated today announced the opening of a Lagos office by QCOM Wireless Technologies Limited, a wholly-owned subsidiary, to serve as the Company’s hub for West Africa business operations. Leading research organizations estimate that roughly half of Nigeria’s population lives in rural areas, much of which is beyond the reach of fixed line broadband solutions. The high cost of traditional computing devices, such as desktop computers and laptops, also creates barriers to reaching West Africa’s consumers. Qualcomm’s integrated, single-chip solutions are enabling its partners to offer Internet-capable 3G devices (CDMA2000 and WCDMA/UMTS) that support different tiers of market needs – from high-end smartphones to low-cost handsets. The Company’s Engineering Services Group also works collaboratively with operators to assist in their deployment of cost-efficient wireless networks for both dense urban areas and rural regions. “Qualcomm is committed to supporting its partners regardless of which 3G CDMA technology path they choose,” continued Dadson. “We also recognize that fulfilling the industry’s promise of anywhere, anytime wireless voice and data services will not be easy; it will take time, resources and close partnerships with policy makers and operators to make this vision a reality. This a great chance for not just the local Nigerian work force but surrounding business people around the region to gain international business management and exprience in the global supply business chain from a world wide leading company such as Quallcomm. Good to see an American firm taking the plunge after consistently seeing Indian firms outpace their western rivals. Young Acholi men play basketball at sunset in Kitgum, Nothern Uganda. The town was at the heart of the 20-year LRA (Lord's Resistance Army) war, and now peace has returned people are beginning to resume normal life. Egypt’s first privately owned wind farm is set to launch in 2013. This is part of a ambitious climate change strategy that includes producing a fifth of Egypt’s power from renewable energy sources by 2020. CAIRO (AlertNet) – Egypt plans to launch its first privately owned wind farm in 2013 under an ambitious climate change strategy that includes producing a fifth of its power from renewable energy sources by 2020. Trading fossil fuels for greener energy like solar, wind and water helps curb the carbon emissions that are heating up the planet. Global warming is expected to bring higher sea levels and more extreme weather, putting the world’s food and water supplies at risk. 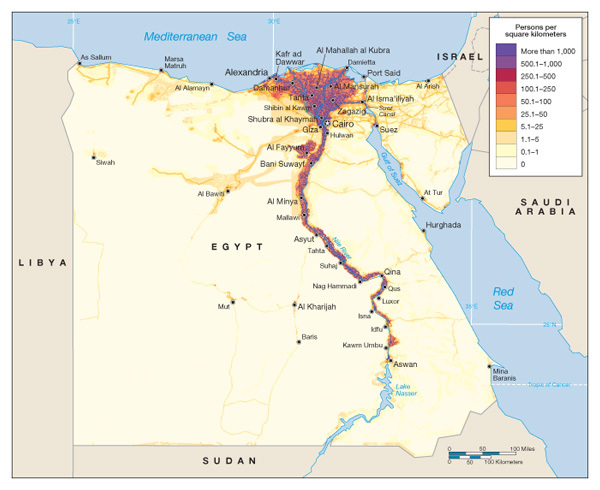 Rising seas are a looming threat in Egypt, where over half the population lives within 100 km (62 miles) of the Nile River coastline. Officials say 6 to 8 million people could be displaced and nearly half the country’s crops, which are grown along the Nile Delta, submerged. The wind farm – expected to produce 250 megawatts (MW) of power – will be located in the Gulf of Suez along the Red Sea, regarded as one of the world’s best wind energy sites, with wind speeds of up to 11 metres per second. Ten local and foreign companies have been shortlisted for the scheme, which is expected to come online by the end of 2013. “The Gulf of Suez is an excellent area for wind farms. Several projects are under way to create more wind parks there, which could have capacity of around 2,000 MW,” said Mohab Hallouda, a senior energy specialist at the World Bank. In June, the bank loaned Egypt $220 million to develop wind power, which will help the country meet its 20 percent renewable energy target. Two fifths of that will come from hydropower generation and the rest from solar and wind. Hallouda said the loan, which is mostly from the World Bank’s Clean Technology Fund (CTF), will help finance a transmission line to transfer the electricity produced by the wind farms to the country’s power grid. The CTF was set up in 2008 by donor nations which pledged about $5 billion to kick start large, risky investments in clean technology in developing countries ahead of a new global deal to tackle climate change. This investment privately and publically by the state in solar and wind energy could not be better timed. Egypt’s push on renewable energy could not be more timely, as electricity demand in the Arab world’s most populous country is increasing at around six percent each year. The country experienced consistent power outages – the worst in decades – during the last few weeks of summer as temperatures hit 40 degrees Celsius. The blackouts provoked public anger, which had already been on the rise over increasing living costs. Nearly a fifth of Egypt’s population of close to 82 million lives on less than $2 a day. Government officials blamed the power outages on increased consumption in the peak summer season, and have vowed to boost power capacity. Egypt already has publicly owned wind farms in the Zafarana area, south of the Gulf of Suez, with a capacity of 520 MW, as well as a small research and development wind park in Hurghada, further south along the Red Sea. But so far the electricity generated from existing wind farms accounts for only around two percent of the country’s total installed power capacity of approximately 25 gigawatts (GW). Most of Egypt’s electricity – around 85 percent – comes from thermal power stations, which are mainly fueled by natural gas. This investment in renewable energy whether by the state or private firms is good especially when geographically Egypt has the right mix of sun for solar energy, water energy thanks to the river Nile and enough wind for wind farms. The “steel hypermarts” that Essar has set up in its home country cater to small merchants or private individuals, allowing them to buy steel in small quantities of a few hundred kilogrammes at a time for use in business or home-improvement projects. “We feel there is a lot of entrepreneurial activity in Africa which is waiting there to be built on,” said Malay Mukherjee, Essar Steel’s chief executive, in an interview with the Financial Times at the annual World Steel Association meeting in Tokyo. The Essar Group, which also has oil and gas and telecom interests, is keen to expand into Africa. It has oil and gas exploration blocks around the continent. Last year, it bought a 50 per cent stake in a refinery in Mombasa, Kenya, and is reportedly interested in joining a project to build a refinery in Uganda. It also sees Africa’s growing economies as a potential market for its steel production, particularly the continent’s burgeoning small businesses. The company hopes to establish an initial base of a few dozen steel centres within the next couple of years, with an eye to extending the concept if it is successful. Mr Mukherjee did not specify which countries Essar would target to start with, but the first centres would probably be built in the east of Africa – a relatively close shipping distance to the company’s main steel plant in Hazira, on India’s west coast near Mumbai. Essar has about 600 steel retail centres in India that together with larger, more conventional steel service centres geared toward large industrial users distribute about 4m tonnes of steel a year. The company believes the segment of the market targeting sales of smaller amounts of steel to small businesses has been neglected by most distributors. “This accent on new ways to convey steel to the final user is part of our effort to try to establish ourselves as being as good on the distribution side of the business as in manufacturing,” said Prashant Ruia, Essar Group chief executive. The company expects this year to make about 8m tonnes of steel, of which 5m tonnes would come from Hazira and the rest from a Canadian steel mill which the company bought in 2007. That total output would slightly exceed the roughly 7m tonnes of steel JSW, India’s third-biggest steelmaker, expects to produce over the same period. Essar plans, via a series of expansions, to ramp up total steel production by 2014 to 14m tonnes, of which 10m tonnes would be made in India and the rest in Canada. The expansion of output in India comes amid rapid growth in the domestic sector, as a result of which the country is expected by the end of 2011 to be the world’s third-biggest steel consumer after China and the US. This is a great opportunity for whichever countries are chosen to be part of the business hubs. This expansion by Essar will enable African countries to become part of the gears of globalization. This investment is greatly needed for the continent.